With few wide releases this weekend it’s no surprise that this week’s top five at the box office looks about the same as last weekend’s. Disney and Pixar’s Coco is still going strong in its second week out, and Thor: Ragnarok is still in the top five as it’s been for the last month. The top spot definitely belongs to Coco. It’s one of the only children’s movies playing wide right now and who doesn’t love a good music-filled Disney flick? In comparison, Coco is doing even better revenue-wise than Tangled and Moana were at this point in their release cycles. 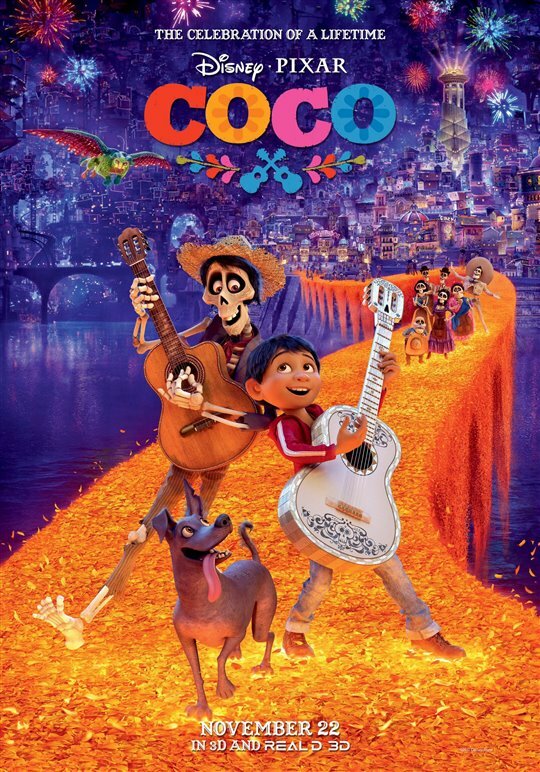 Coco brought in $26.1 million this weekend and has a solid 3.7 out of 5 stars from our users. Second on the list is Justice League, bringing in $16.6 million this weekend. While it seems Justice League can’t shake the mixed reviews - it’s currently at 41% on Rotten Tomatoes - audiences are still giving it a chance. Our users have given it an overall rating of 4.0 out of 5 (its rating was 4.2 at the time of release). In third this weekend is Wonder. The praise the adaptation of a beloved novel has gotten is likely driving more viewers to theaters, and it expanded to more theaters this weekend as well. Bringing in $12.5 million this weekend and with an 85% Fresh rating and an audience score of 91% on Rotten Tomatoes, it is definitely living up to the hype the book of the same name created. Our users however have given it a rating of only 3.2 out of 5. The fourth spot this weekend goes to Thor: Ragnarok. Making $9.7 million in its fifth weekend, the latest from the Marvel Cinematic Universe is leaving an impression on theatergoers and is making up for the less impressive Thor: The Dark World from four years ago. Our users rate Thor: Ragnarok 4.2 out of 5, and it has kept up a 95% Fresh rating.